We have so many crochet projects for ladies, Circle Crochet Cardigan; Crochet Shawl Patterns, Crochet Cardigan Sweater Coat Free Patterns and more that you can check them out. But don’t forget the gentlemen, even the little ones. You may love this little crochet addition to your hats to keep you cozy and fun. 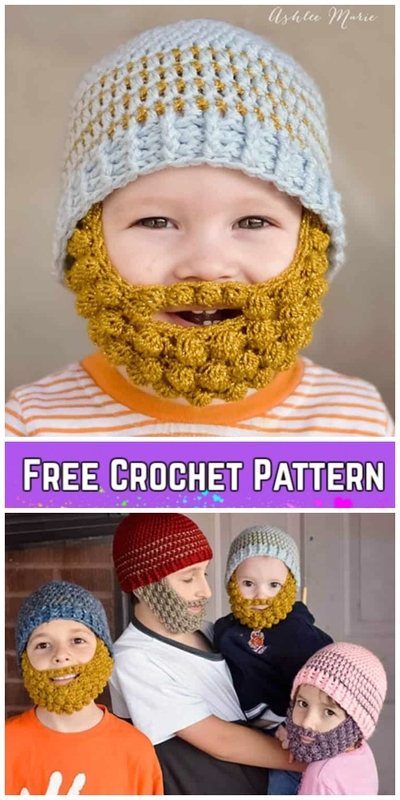 If you have seen those crazy crocheted beard hats that are becoming popular around the sites, you may want to crochet some for your family and friends. It can keep anyone quite warm, not just on the head and ears, but the all important chin and cheeks! Make this totally cool Beard Hat for the next outdoor game you and your guy go to, it’s a great crochet hat pattern for wintertime. A free crochet pattern like this makes a great homemade gift idea for any occasions to keep them unique. With the same idea, crochet your beard hat with any stitches you have learned for your family. 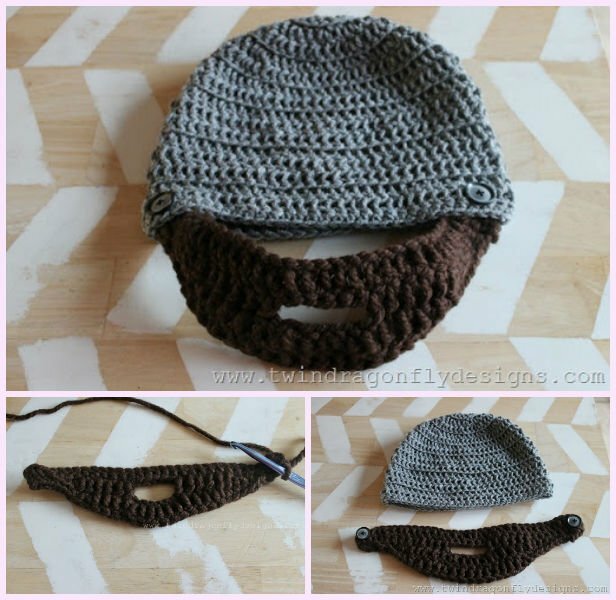 See how easy it can be from: Crochet Beard Pattern By Twin dragonfly designs. The loopy beard looks cool, too. White for Santa or kids Cosplay. 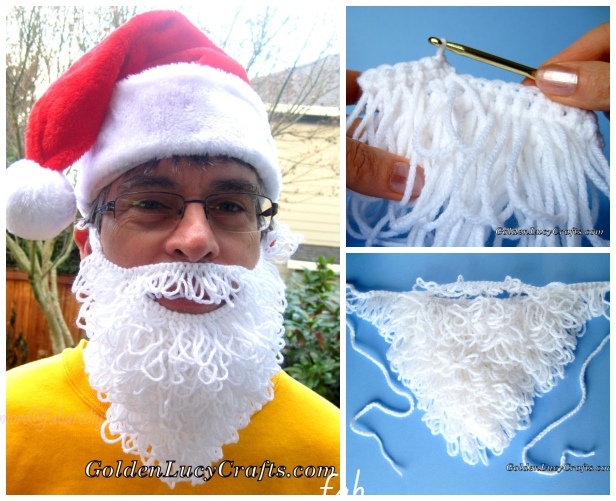 Get the free pattern: Crochet Santa Beard By Goldenlucycrafts. Here is a video of crochet beard for all sizes from crochet lovers that can help. It is super fun and won’t take long to finish and surprise your guys at home. Enjoy! 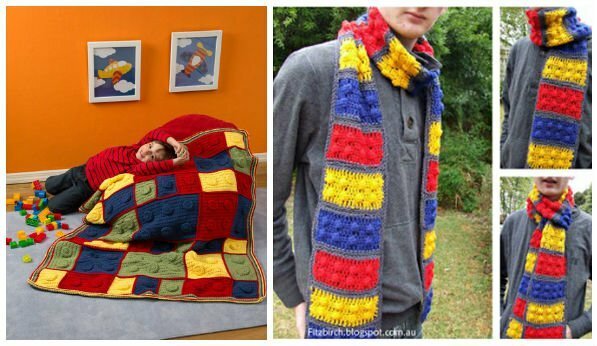 Looking for things to crochet for him, the DIY Crochet Lego Patterns can be good choice.